What's in the prepper's kitchen. 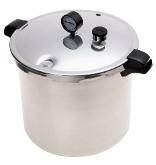 pressure canner cooker to Wise Foods emergency food storage. 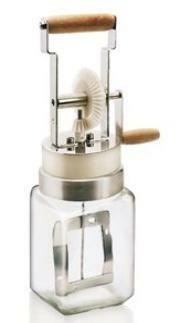 peeler to a manual food grinder and juicer. Cooking is a survival skill. 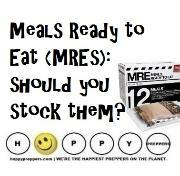 Wondering how to cook Prepper style? Step One: Get enough water. expired food on your hands). 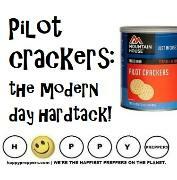 at any grocery store or food warehouse. space in just about every nook and cranny of their home. goes in your kitchen and one goes in your closet. organization of a closet pantry. the most of the space you have. Step Four: Set up your prepper's kitchen (manual tools). 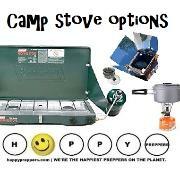 you have enough fuel and equipment with which to cook. a GMO product! Learn the six grains to hoard! because you'll have to start over again in a couple of years. Step Six: Buy in bulk. them in food grade buckets. Buy Buckets of emergency food. Powdered milk is a good item to buy in bulk if you have kids. of foods isn't easy, but it is rewarding and healthy. Step Eight: Get gourmet foods to fight food fatigue! Bacon. Yoder's makes bacon in a can! poppy seed muffins, brownies, bread mixes and more. 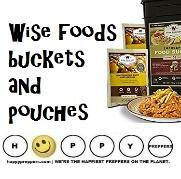 Breakfast pantry freeze dried foods. PUre Creamery Butter, pictured immediate right. 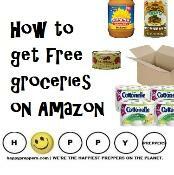 Coconut oil is healthy a cooking alternative to Crisco! and roast the beans when you open the cans. Step Nine: Grow your own. Grow potatoes! You can grow potatoes in small containers. windowsill. Pictured right, you can start sprouting today. Keep chickens, rabbits or goats. Step Ten: Hide your food! havy box of cans, mark it "books." 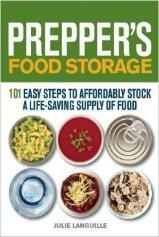 about how to cook Prepper style. 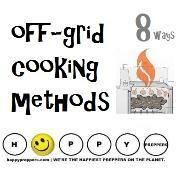 Canning (home): 10+ Methods of Preserving Food. 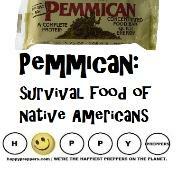 any Prepper's Pantry by foraging for foods in the wild. advanced skill to have under your belt. 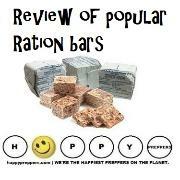 Hoarding comfort foods: Did someone say chocolate? valuable bartering opportunities. Bacon comes in can! with a long shelf life. 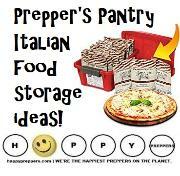 handle long term needs for food storage. Off-grid kitchen tool #1: Big Berkey Water Filter. Clean drinking water is always at the top of the list for survival. Off-grid kitchen tool: Can opener (manual, wall mounted). always know where it is. that you'll be able to open cans in an emergency. To some, coffee isn't just a luxury, it's a survival necessity! in #10 cans or mylar bags. F. All parts are BPA free. convenience in one sturdy package..
Read about the survival uses and benefits of coffee. Off-grid kitchen tool #3: Manual egg beater. beat it and get that egg beater! Off-grid kitchen tool #4: Wheat Grinder (grain mill). mill for coffee or grinding flour, right. Off-grid kitchen tool #5: Meat Grinder. intended for low moisture grinding. Off-grid kitchen tool #6: Sifter. through the sifter. It holds around 2-3/4 cups. Off-grid kitchen tool #7: Kitchen timer (egg timer)! Off-grid kitchen tool #8: Butter Churn. 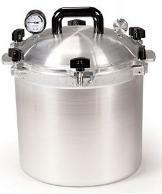 is the ultimate butter churn made of glass. 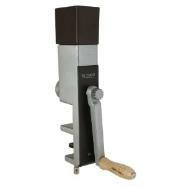 Off-grid kitchen tool #9: Juice Press and zester. pictured right, is the one to own as it gets unusually high ratings. Off-grid kitchen tool #10: Mortar and pestle set. have a garden owning a mandolin is a must. Off-grid kitchen tool #13: Food Dehydrator. 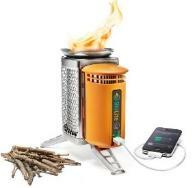 a non-electric dehydrator will serve you well in an off grid life. 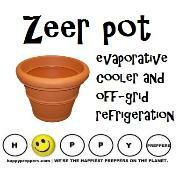 Off-grid kitchen tool #14: Solar Refrigeration. Off grid kitchen tool #15: Breadmaking tools. pictured left, cuts biscuits, cookies, cakes, and pastries. 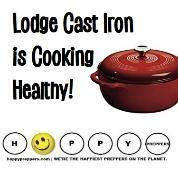 Off-grid kitchen tool #16: Cast iron cookware. Off grid Kitchen tools #17: Butchering tools. chickens who don't produce eggs, and butchering the rabbits. extreme conditions, you won't want neighboring intruders. Avoid smoking meats in severe scenarios. 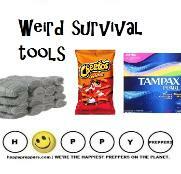 tools to weather an emergency. Calculating a year's supply of toilet paper for your family. How to set up a quarantine room. Zote soap uses beyond washing your hands. 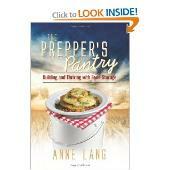 preparedness Web site of prepping, survival, homesteading, and self-sufficiency. written consent. 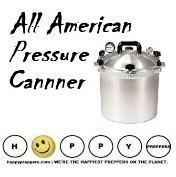 HappyPreppers.com makes no warranties. recommend prepping gear sold on Amazon. It's a great place to shop. amd Nov 30, 2018. This helps protect our copyright. Do NOT copy. Linking is okay.